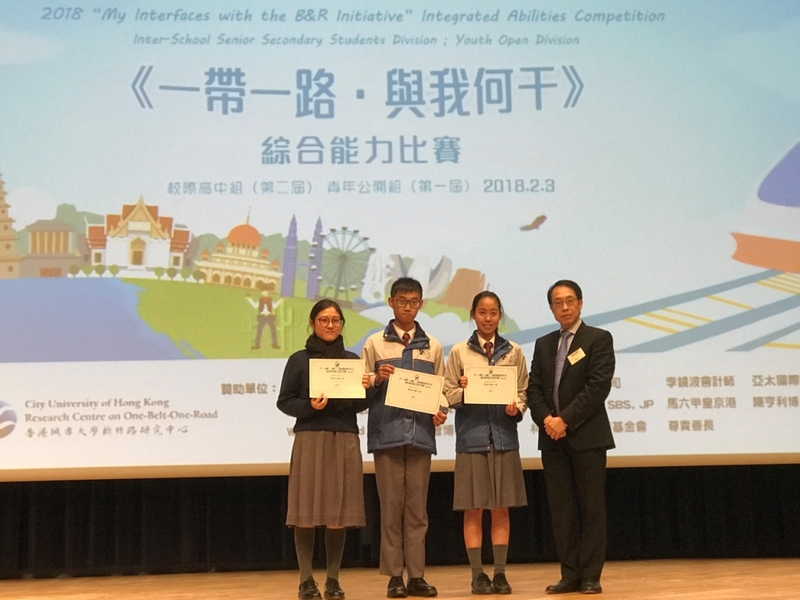 Some S5 students participated in 2018 "My Interfaces with the Belt and Road Initiative" Integrated Abilities Competition, which is co-organized by Hong Kong Professionals And Senior Executives Association, Federation Of New Territories Youth and New Territories Association of Societies. 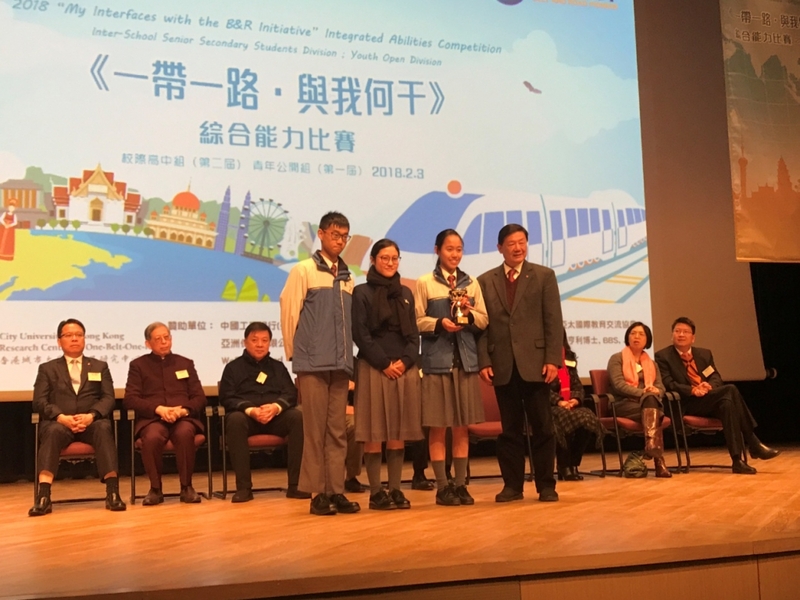 Among many teams from different schools in Hong Kong, our team has achieved a very outstanding result in the inter-school Senior Secondary Students Division. Besides the awards, they are going to join Silk Road Exploration into the Kingdom of Thailand, which is organized by Mr. Bernard Charnwut Chan, free of charge to learn more about the development in the countries along the Belt and Road from 3-7 July 2018. The result can be referred to the following link: http://www.brp.com.hk/ The pictures show the members of the winning team.